Can I create an order form? I work at a distributor and would like to use and order form on our website. I would like customers to be able to sort it by product type and then manufacurer and then a place for them to enter how many they would like to order. So basically I would need three drop down selections and a blank space for qty ordered, but they would need to do this multiple times. I hope this is clear, I could not find anything like this on your site, so it may not be possible, but if it is I am very interested. Unfortunately, we do not support all the functionality you have described in our software. However, you can try some workarounds. We do support multiple products forms, also you can add the quantity option. For example if you have three manufacturers, you can create 3 order forms for each manufacturer with different products on each form. 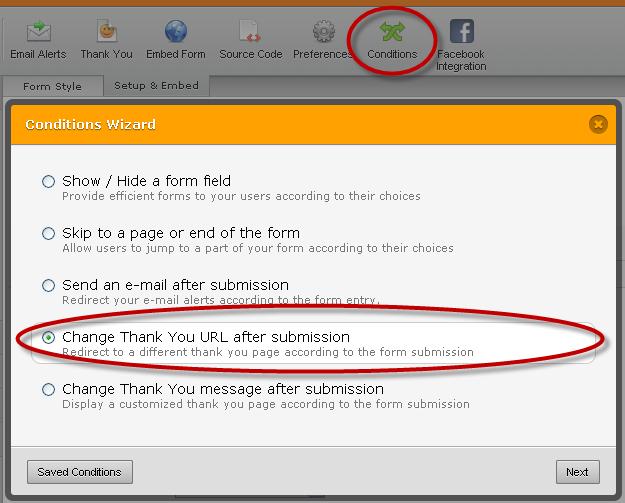 Then, redirect your clients to needed form from your main form. If you need any other assistance, please feel free to contact us. We will be happy to help you.